Sarah told me about mannequin hands and then showed me a few photos so I just had to try it! A Perfect 10 Missy is a sheer cream and Not So Innocent is a sheer glittery topper. I used about 5 layers of the cream and put my own spin on this by using 1 layer of glitter on top. 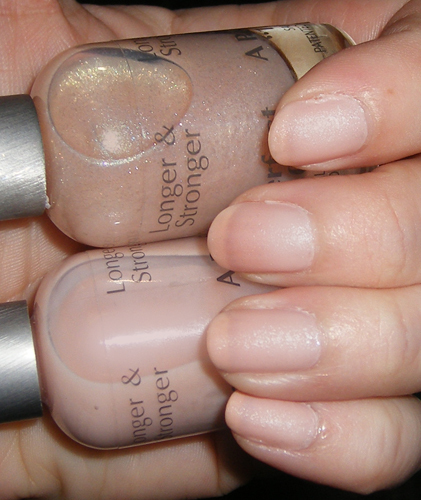 Bottom photo is same mani with matte top coat added.